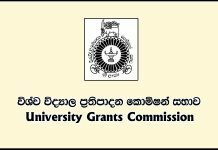 Minister Dayasiri Jayasekara says that the decision on whether government MPs will be attending tomorrow’s parliamentary session would be reached at their parliamentary group meeting, scheduled to be held tomorrow morning. 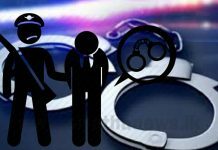 Legislators representing the government party boycotted parliament for a second day Tuesday, accusing the speaker of bias during a political crisis that has engulfed the island for nearly a month. 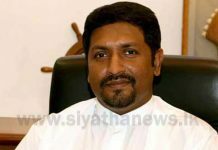 Speaking at the weekly Cabinet press briefing on Wednesday (28), Jayasekara also said that the motion presented by several UNP parliamentarians, to suspend the expenditure head of Prime Minister Mahinda Rajapaksa and the Cabinet, is in violation of the Constitution. 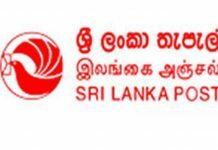 He accused the United National Party (UNP) of plotting to strip the President of his powers and turn him into a mere ‘puppet’ and that the UNP supporters were unaware of this. 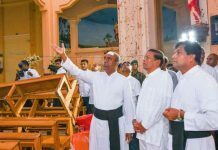 Jayasekara said that they are aware that the former Prime Minister is toying with the country’s Constitution and that in the end what happened was the country fell into a state of chaos. 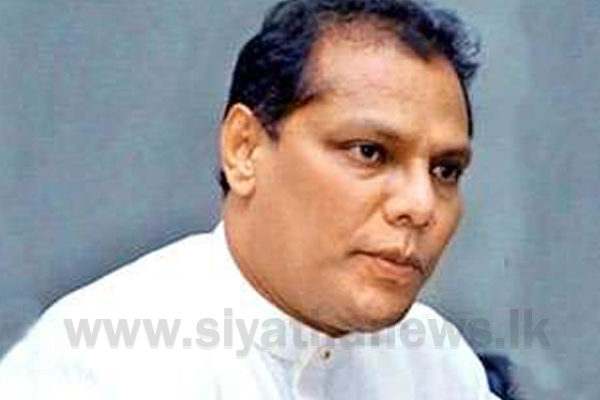 He also accused the Speaker of Parliament of acting according to the voices of the UNP parliamentarians and asserted that they do not acknowledge the Speaker.